This talk will present the case study of seismic retrofitting of four Peruvian historic earthen buildings as part of the Earthen Architecture Initiative of the Getty Conservation Institute (GCI) — in collaboration with the Ministerio de Cultura del Perú, the Escuela de Ciencias e Ingeniería of the Pontificia Universidad Católica del Perú, and the University of Minho. The methodology, challenges and main results of the inspection, testing, design, implementation and dissemination of seismic retrofitting techniques with locally available materials that will improve the structural performance and safety of earthen buildings while minimizing loss of historic fabric will be described. The project builds upon the experience gathered from previous projects as well as conclusions drawn from the Pisco, Peru 2007 earthquake assessment, and detailed construction assessment of Peruvian historic earthen buildings. 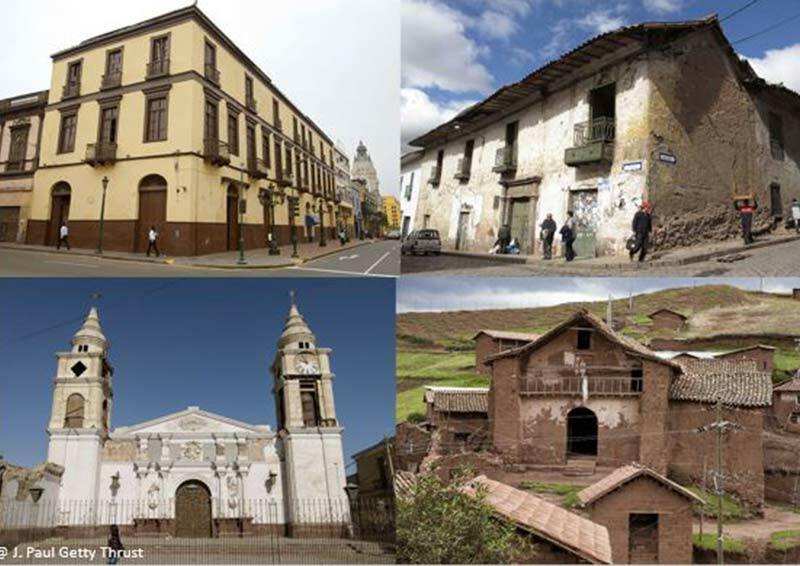 Objectives of the project are: (a) Design effective seismic retrofitting techniques using locally available materials and expertise for Peruvian historic building types that have potential for wider application in other countries. Obtain data, based on rigorous scientific research and testing, that demonstrates the validity of the designed techniques; (b) Acquire recognition, approval, and promotion of the techniques by local authorities; (c) Develop guidelines and manuals for the conservation community and site managers who implement retrofitting techniques, highlighting the significance of constant monitoring, maintenance, and repair; (d) Develop model conservation projects that demonstrate the implementation of the techniques. This talk was jointly organised by the Society for Earthquake and Civil Engineering Dynamics (SECED) and by the International Council on Monuments and Sites (ICOMOS). Federica Greco is a structural engineer and architect, working in Arup since 2017. She is a chartered engineer in Italy, where she obtained her Master’s degree in Building Engineering and Architecture from the Marche Polytechnic University (Ancona) in 2013. In 2014 she obtained her Advanced Master’s degree in the Structural Analysis of Monuments and Historical Constructions (SAHC) at the University of Minho in Guimarães and Czech Technical University in Prague. She is a member of the International Council on Monuments and Sites (ICOMOS) and The Earthquake Engineering Field Investigation Team (EEFIT) in the UK. From 2015, she was involved in the Getty Seismic Retrofitting Project, a collaboration between The Getty Conservation Institute (GCI) and the University of Minho that focuses on selected historic buildings in Peru. She joined the Getty Conservation Institute in Los Angeles (CA) in 2016, where she worked on a variety of projects inside of the Earthen Architecture Initiative, collaborating with local designers on the definition of traditional retrofitting techniques and followed the construction site during the implementation of the retrofitting design. She developed extensive experience in awareness raising for populations in earthquake prone zones and in the development of workshops for local engineer, architects, masons, and specialists on seismic retrofitting techniques.